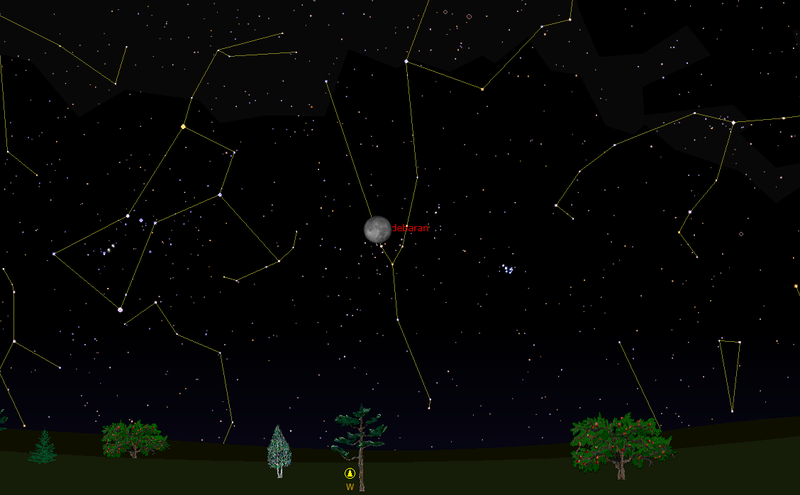 Be Thankful because tomorrow morning, the Moon will occult (eclipse) Aldebaran around 5:45am EST. While lunar occultations of stars are not overly rare, an occultation of such a bright star is a bit of a rarity. To see the show, go out about 5:30am and train your telescope on the Moon. 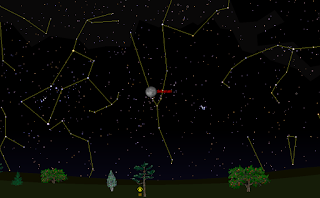 To get exact time Aldebaran will suddenly blink off as the Moon moves in front of the star (there being no atmosphere on the Moon, there will be no dimming, only an abrupt disappearance) go to this website and plug in your latitude and longitude. As the time approaches, stare into the eyepiece and wait for the eye of Taurus to abruptly vanish. Another idea: hook up a video recording device to the telescope and record the event as it happens! Yes, it comes at anything but a convenient hour for most people but this is an event worth getting up early for!